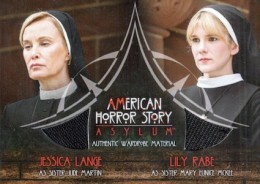 Covering season two of the popular horror series, 2016 Breygent American Horror Story Asylum picks up after the AHS Season 1 product. 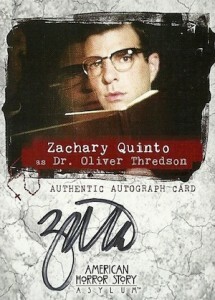 The release is once again led by a variety of autographs and relics cards from the characters in the show and issued in a premium factory set format. Each Collector Box include eight total hits. 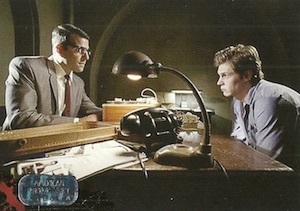 Although it is technically the second season of American Horror Story, the series is largely an anthology and Asylum features a new location and new characters. 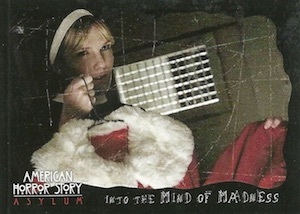 While season one (now known as Murder House) takes place in Los Angeles in 2011, Asylum goes back in time to Briarcliff Manor, a mental institution in Massachusetts during the year 1964. 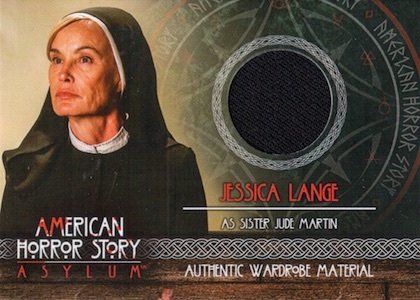 Offering 72 cards built around the season, the 2016 Breygent American Horror Story Asylum base set takes a detailed look at each of the 13 episodes. 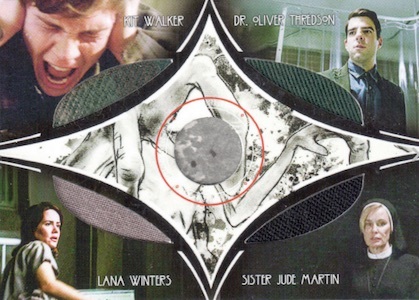 Chase inserts come in the form of three options that each feature nine cards: Into the Mind of Madness, Quotes and Welcome to Briarcliff. 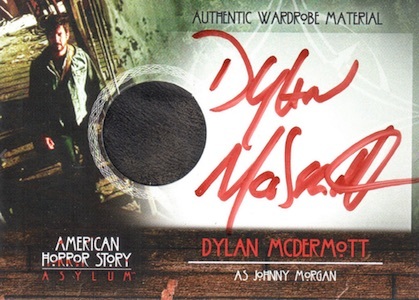 Autographs, along with costume and prop relics, offer the key hit element. This includes 16 main Autographs, 7 Autographed Costume Relics, 15 Costume Relics, 33 Dual Costume Relics, 3 Quad Costume Relics, 8 Prop Relics and 6 Costume/Prop Relics. 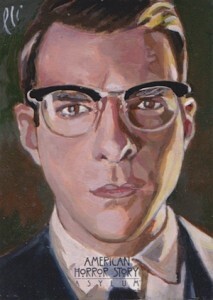 There are also limited Sketch Cards. 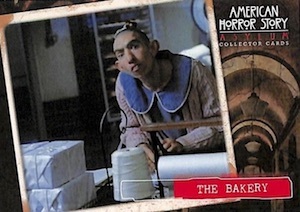 Tapping into many of the previous signers who also appear in season two of the show, the 2016 Breygent American Horror Story Asylum autograph checklist features Zachary Quinto, Sarah Paulson, Evan Peters, Lily Rabe, Dylan McDermott, and Frances Conroy. Other notable signers include Chloe Sevigny, James Cromwell and Joseph Fiennes. 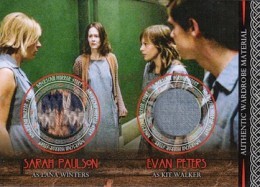 Lastly, there are multiple promo cards for the set that have been available for some time. Collectors can also find a custom album that is sold separately. 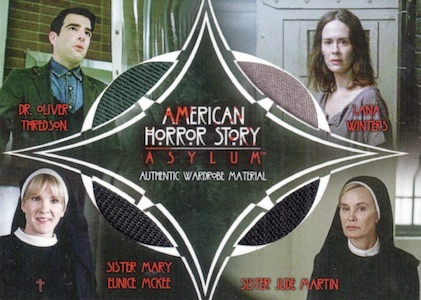 The limited 2016 Breygent American Horror Story Asylum release features only 940 total sets (94 cases). 72 cards. 1 set per box. I hope they release these cards sooner then later.